Overnight, an ice storm has battered much of the state of Oklahoma, causing ice rink-like roads. Schools are closed on Thursday across western, central and northern Oklahoma due to the dangerous roads. Numerous accidents have been reported. According to a police spokesman, the Belle Isle bridge on Interstate 44 in northwest Oklahoma City is slick Thursday. Police Captain Arthur Gregory said: ”The Belle Isle bridge, especially in these conditions, should be avoided. "I know on that roadway every time we have something like this we have accidents." District Officials reported that Oklahoma City, Putnam City, Edmond and Deer Creek schools are closed Thursday. A winter weather advisory is in effect for Oklahoma City, in what has been named Winter Storm Lucian. Lucian was spreading snow across the northern Plains, upper Midwest and northern Great Lakes as of Thursday morning local time (afternoon GMT). Visibility was down to a quarter of a mile or less in eastern North Dakota Thursday morning due to the snow and strong winds. Blizzard warnings have been issued by the National Weather Service for the eastern Dakotas, northwest Iowa, western and south-central Minnesota and the eastern Upper Peninsula of Michigan. This storm is moving quickly from Oklahoma to Chicago and will bring heavy snow to much of central, northcentral and northeast Wisconsin. 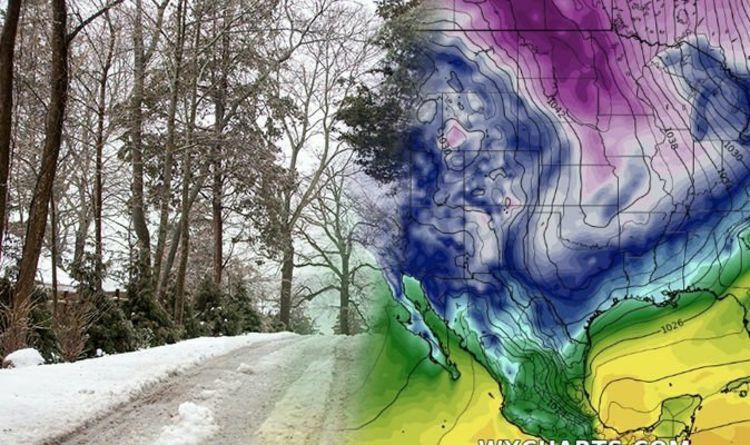 The east-central part of the state will receive a mix of sleet, snow and freezing rain. Areas south of Algoma to Chilton will experience the most freezing rain and least snow. Snowfall rates of an inch or two per hour are possible where it is snowing. There may be a period of heavy sleet and freezing rain in the Fox Valley and Lakeshore counties which could make it difficult for road crews to keep up. Three to six inches of snow could fall from Stevens Point to Marinette, with just a couple of inches near the lake and bay where the precipitation will be mostly in the form of sleet and freezing rain. Snow and strong winds will continue to affect the northern Plains, upper Midwest and northern Great Lakes. Blowing snow may cause reduced visibility and dangerous travel in those areas. Blizzard conditions are possible in parts of the northern Plains and the eastern Upper Peninsula of Michigan, with wind gusts up to 50 mph and low visibility. A band of sleet and freezing rain will extend from parts of northern and central Missouri to northern Lower Michigan.